Pok Pok at 3226 SE Division Street in Portland. Don’t get thrown off by the name “drinking vinegar”. It doesn’t sound appetizing, but it is quite delicious. The floral aromatic flavour of the lychee contrasted well with the slight tang of the drinking vinegar. 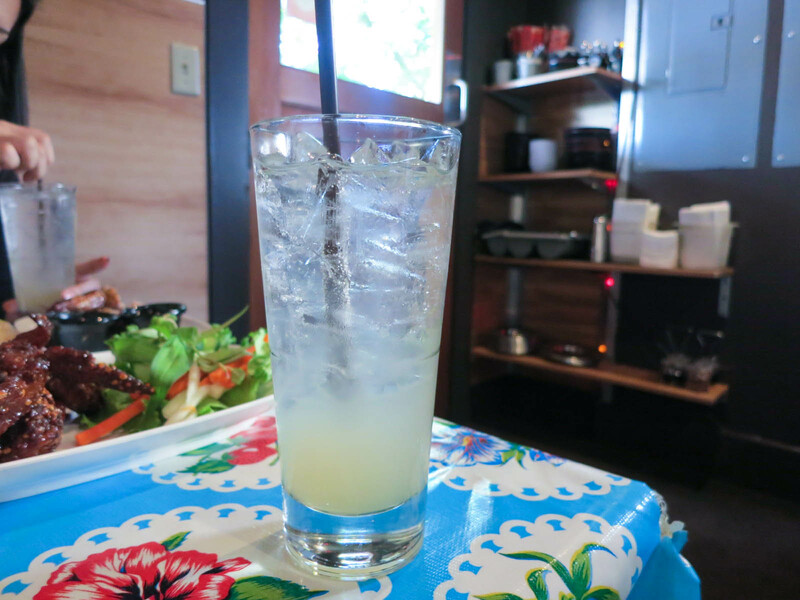 The drink was super refreshing and an ideal pairing on a hot summer day. 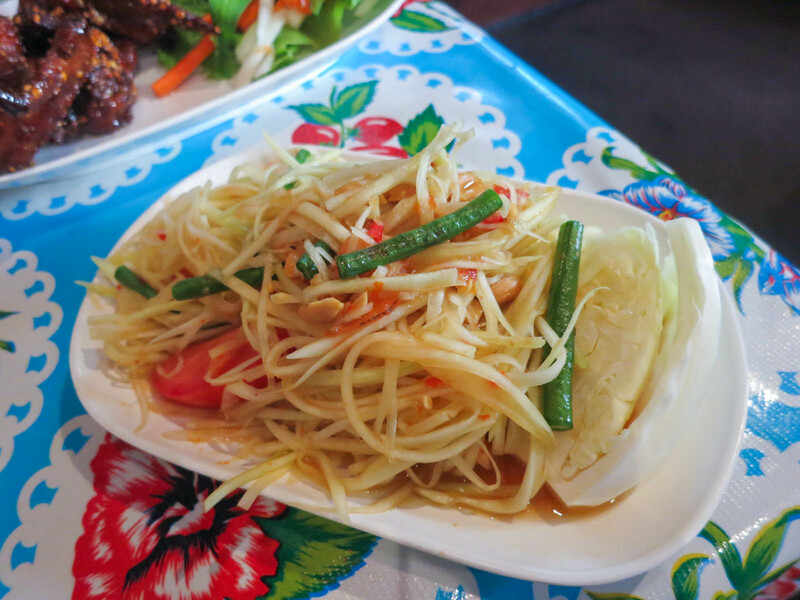 This is the dish that made Pok Pok famous, so they are a must try when you visit. These wings lived up to the hype for me and they were the best chicken wings I have ever had. The wings are deep-fried and very crispy while the meat is still moist on the inside. The sauce is incredible and is a perfect balance of spicy, sweet, and savoury. I was surprised by how much spice was in this dish from the Thai chili juice. If you can’t handle your spice you probably should skip this dish. The papaya was crunchy and tangy and I liked the mixture of the other vegetables in the salad. The meat was very tender and juicy and had a slightly smokey taste to it. 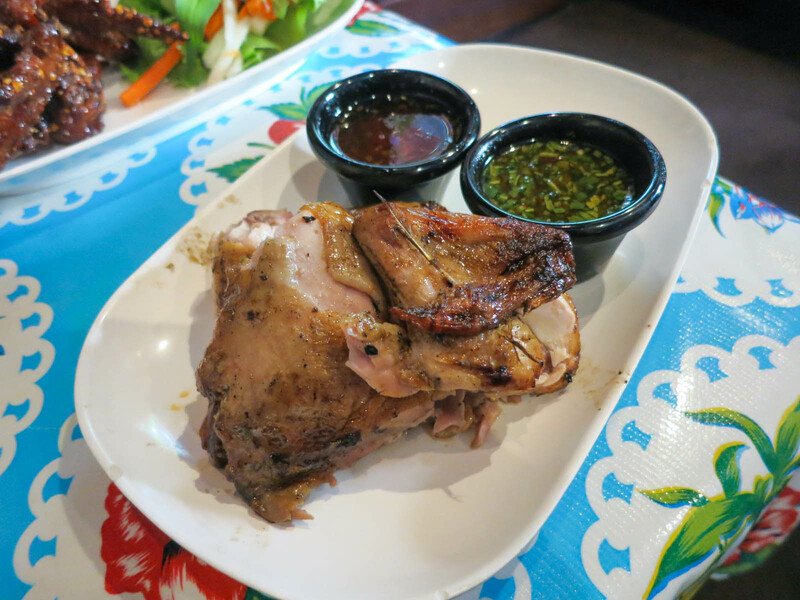 The food a Pok Pok is delicious and definitely more special than your average Thai restaurant. Make sure you come early though or you could be waiting in line for an hour.